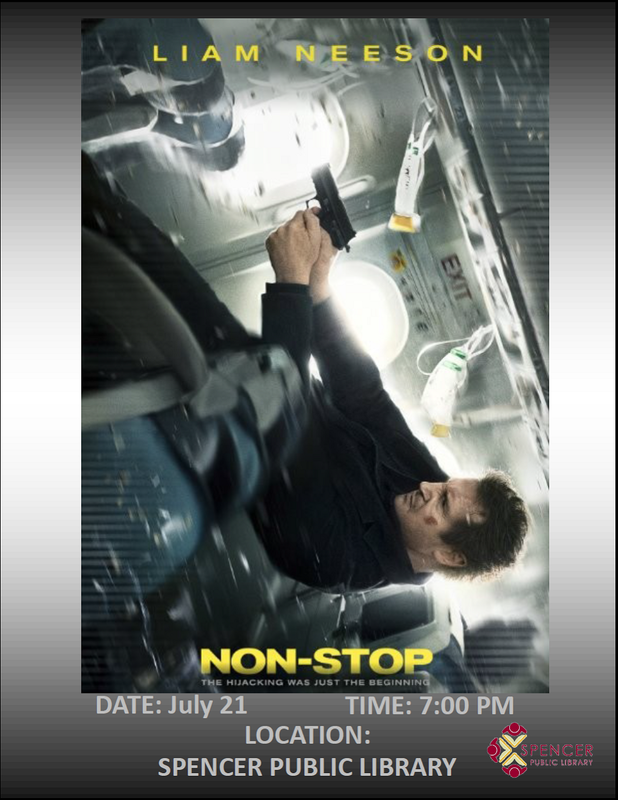 Hi everyone – this is just a reminder that we will be showing the movie “Non-Stop” starring Liam Neeson at the library on July 21 @ 7:00 PM. We still have room, so e-mail me rmunson@spencerlibrary.com if you would like to attend or call the library 580-7290 for reservations. Also, if you’ve finished the SRP program, remember to RSVP for the end of the Summer Reading Program Science Party by 5:00 Pm on July 29. We will be doing fun experiments and eating ice-cream at our ice cream bar. Lots of door prizes and the Kindle Fire will be given away!